One of my biggest concerns in the past was how to not accept all the connection requests I receive on LinkedIn – many times, I have thousands of connection requests waiting to be accepted or ignored. I didn’t want to ignore these requests, but through the years, I’ve learned that we need to keep a highly targeted network if we want to achieve our intended results. Then I discovered this one simple tip that has helped me significantly increase the number of my followers, while also reducing the number of connection requests I was getting. And that’s by using the follow button as the primary call to action or CTA in my LinkedIn profile. If your goal is to get people to connect with you when they visit your profile, then this is good to have, however if your goal is to get as many followers as possible without connecting (yet), you should change your CTA to “Follow”, instead of “Connect”. Why “Follow” instead of “Connect”? 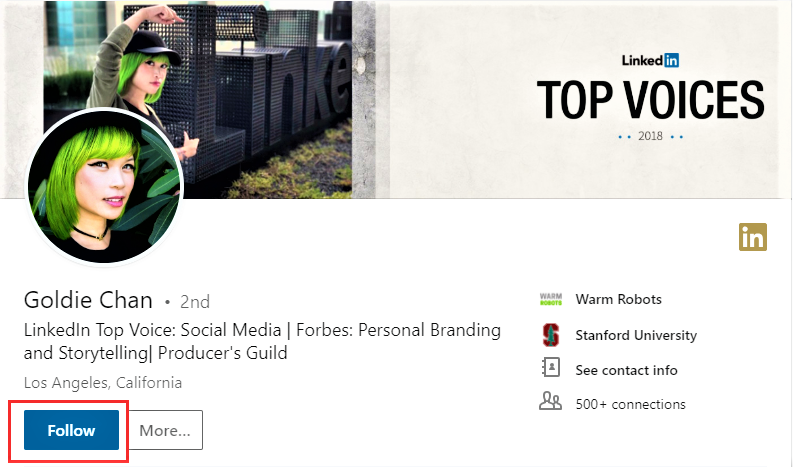 Not all LinkedIn members are comfortable connecting with you, especially if it’s their first time seeing your content on their feeds. But many are willing to follow you to get updates on what you’re posting. If your CTA is to “Connect”, you can lose profile viewers who are not ready to connect with you (at least not yet on their first visit to your profile). And if you’ve created quality content to increase your visibility and get people to view your profile, you don’t want to just lose them. Adding the “Follow” button below your profile headline can help solve this. Does this mean they can no longer connect with you? 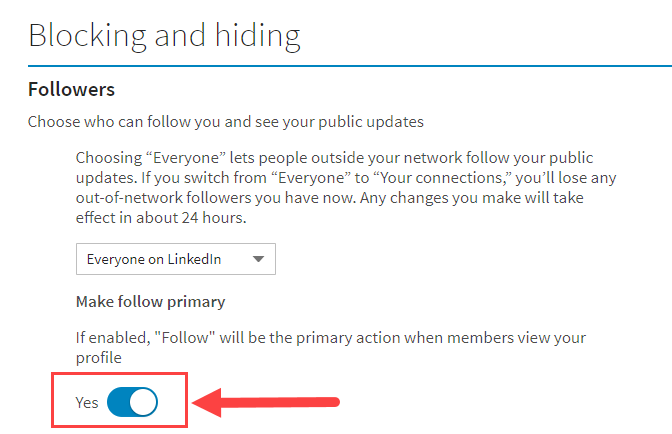 No, using the Follow button won’t remove other LinkedIn members’ capability to connect with you. When they click on “More” (found beside the “Follow” button), they will have the option to connect. And because they’ve exerted more effort just to send you a connection request, it likely signals that they’re serious about connecting with you, so it’s worth considering accepting those connection requests. Remember, LinkedIn allows users to have only up to 30,000 1st-degree connections, so be intentional in whenever you send or accept connection requests. If you have a follower that you’d like to connect with, be sure to send a customized connection request. Thank them for following you and ask if they’d be willing to connect instead. This way, you have total control over who you want to add to your network. When I changed my primary CTA to “Follow”, I instantly gained 300-400 more followers in two weeks compared with having “Connect” as my primary button. I’ve followed many of them back and connected with some.